Sight Specific Performance goes into an interrelation with the surrounding and integrates itself with the speciality of the space and the people who visit it. In this context, each space will have a different choreographic writing and as follows, a different experience for the audience. 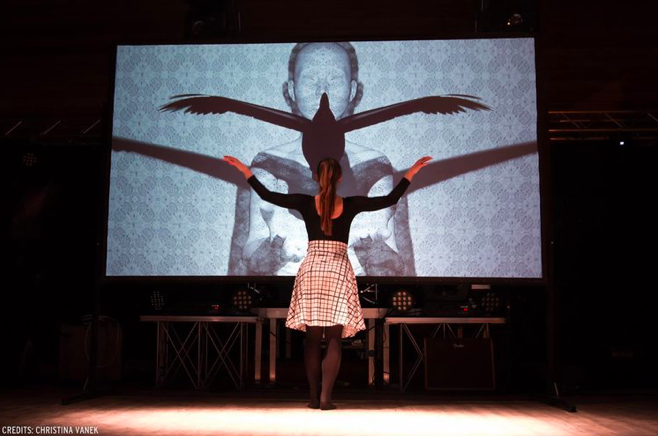 The goal of the project is to bring dance out of the theatre into different spaces and situations (video projection), encountering people who are new to dance. This project is supported by: Provinzia Autonoma de Bulsan, Repartizion Cultura y Ntendënza Scolastica Ladina. Surely part of a movement, I had the pleasure to be part more of performances this year, which also work with sight specific dance work: ‘Tanz und Orgel’ with Constanze Schweizer Elser, ‘Writing the mountains’ by Mathilde Rosier, ‘Deladanse’ by Originally Fake, ‘New Path’ with Jerke van den Braak. And future performances are planned, in collaboration with choreographer Sanne Clifford (NL).